Ny Tid is a monthly print magazine reporting on culture, foreign affairs and politics. Its independently published in Helsinki Finland, with a history in the local left-wing movement. 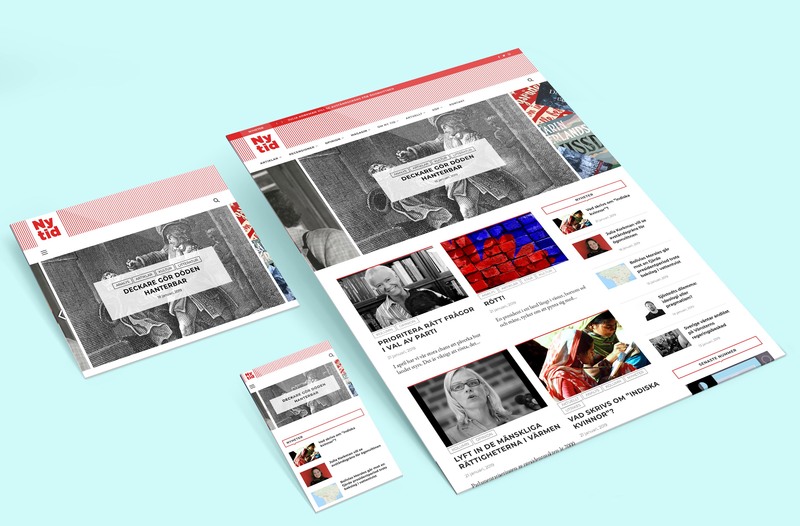 The magazine received funding for special online news reporting, and to make it shine, KRUT Collective was assigned the task of redesigning the website in fall 2018. Please do see the site live here. Something especially cool with their post archive is the earliest articles date back as far as 1944…! Try the random post generator on the front page to take you back in time.